Tom Vilsack, who was named president and CEO of the U.S. Dairy Export Council, speaks at the IDFA Dairy Forum in Orlando. ORLANDO — Former Agriculture Secretary Tom Vilsack, who this week became president and CEO of the U.S. Dairy Export Council, told dairy industry leaders here today that they should call their Mexican customers and reassure them that they still want to do business with them. 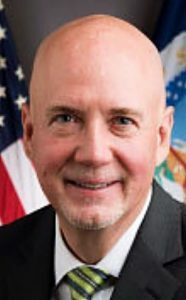 He also said that he left a 24-page memo for Sonny Perdue, President Donald Trump’s nominee for agriculture secretary, and that he has spoken with Perdue. Vilsack said he believed that those business relationships “can overcome” other comments coming from Washington — an obvious reference to Trump’s statements on building a wall with Mexico, renegotiating the North American Free Trade Agreement, a tax on products coming in from Mexico and stricter immigration law enforcement. In an onstage interview with IDFA President and CEO Michael Dykes, Vilsack said he had left a 24-page memo for the incoming secretary and that he had a half-hour telephone conversation with Perdue last week in which they talked mostly about international trade. IDFA is concerned about the relationship with Mexico because 39 percent of U.S. dairy exports go to Mexico. At a separate news conference, Dykes said that renegotiating NAFTA could provide the U.S. dairy industry an opportunity to bring up problems it has had with getting products into Canada, but that NAFTA created a substantial market opportunity in Mexico, and the industry is worried its Mexican exports could be endangered. If the U.S. negotiates a free trade agreement with the UK, it will be important for negotiators to say there will be “no concessions” on the use of geographic indicators (GI) that the European Union pushed for in the Transatlantic Trade and Investment Partnership or, if there are any GI provisions, that the system provides fairness to U.S. producers, Vilsack said. “We have to be very vigilant on this” because the European Union has been “very aggressive” on the GI issue, Vilsack said. Vilsack also said he told Perdue that he will need to make the case for agricultural trade because it often gets lost in trade negotiations. Of the 160 to 170 countries involved in trade negotiations, about 150 to 155 have agriculture as the No. 1 economic sector, but that is not true in the U.S. with its “layered” economy. Vilsack said he also told Perdue that USDA’s budget has been stable or gone down in recent years, and that the farm bill should start with analyzing needs, not a budget number. 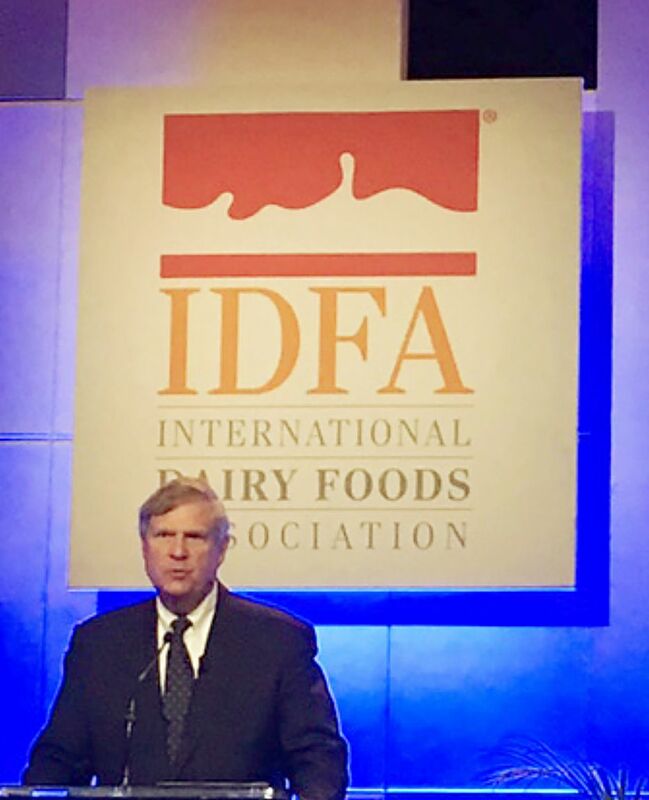 Vilsack also told the dairy executives that the dairy industry has a harder time than the beef industry in making its voice heard in Washington, because there are a million cattle producers and only 43,000 dairy farmers.